The first Career Fair will be on March 29 at 10 a.m. in the Student Center with a focus on education and teaching industries. 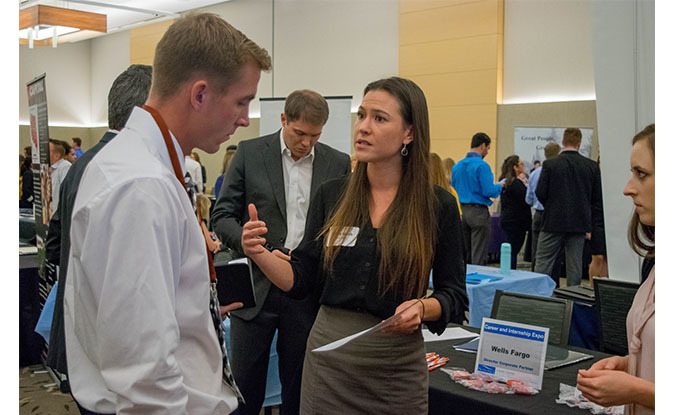 This year, students will be able to participate in the first-ever “Career Fest Pop-Up” the week preceding the Career Fair. Over a three day span, students will be able to participate in workshops to prep their resumes and pitches for employers, learn the new career development platform Handshake and meet with a career advisor to get their resume reviewed. The Career Clothing Closet will also be open for access to professional clothing attire. The Career Fair has also received a new format, as it will be spread across four days and split by industry, including education and teaching, STEM and health, wine and business and arts and communication. Students are encouraged to attend more than one. 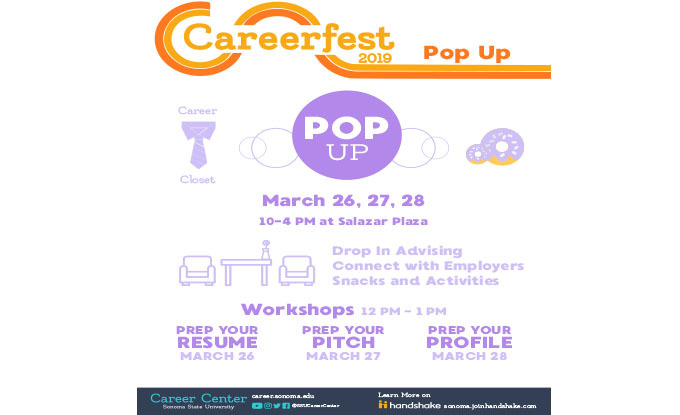 The “Career Fest Pop-Up” will begin at 10 a.m. on Tuesday, March 26 in Salazar Plaza with “Do’s and Donuts’” where students can learn tips about the fair. The first Career Fair will be on March 29 at 10 a.m. in the Student Center with a focus on education and teaching industries. For more information, visit the Career Center.